Interlaken is a beautiful resort town located within the mountainous Bernese Oberland region of central Switzerland. 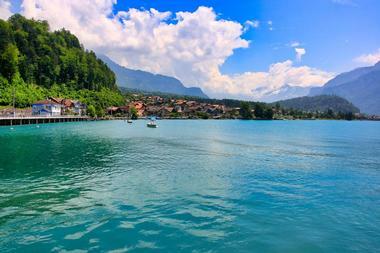 The town is situated on small stretch of land between the emerald-colored waters of Lake Brienz and Lake Thun. 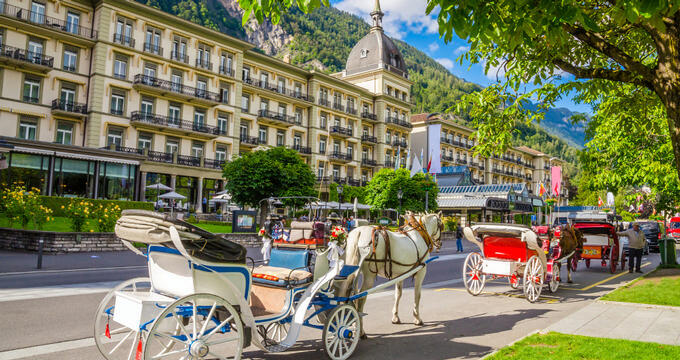 Surrounded by the dense forests, glaciers, and Alpine meadows of the Swiss Alps, Interlaken is a true haven for nature lovers and outdoor enthusiasts. Visitors will have an endless list of fun activities to enjoy around town, some of which include paragliding and skydiving over the Alps, exploring a ropes adventure park, skiing and hiking numerous trails, and enjoying a free music festival. Alpenwildpark Interlaken is a wildlife animal park that is located in Interlaken, Switzerland. The park is situated adjacent to the Valley Station along the Harder-Kulm cableway. 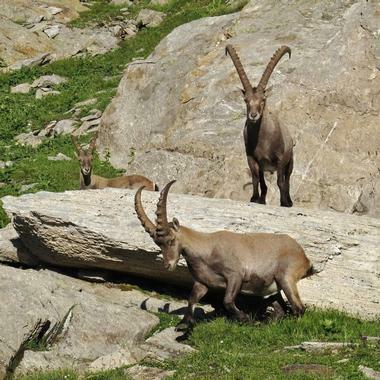 It was originally constructed to reintroduce the Alpine ibex back into Switzerland in the 19th century, after the species had been completely eradicated from the country in previous years. The very first breeding pair was introduced to the park in 1915; the first of their offspring were born in the years between 1917 and 1918. The species has made a healthy return to the region and visitors can now explore the enclosures that helped make it possible at Alpenwildpark Interlaken free of charge. 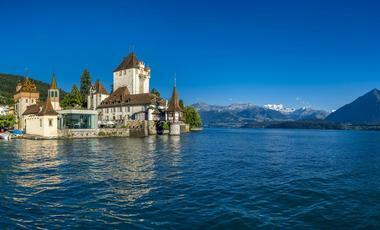 Situated on Lake Thun, the Oberhofen Castle is well-known for its beautiful lakeside turret and distinctive medieval keep. This romantic Swiss castle dates back to the 13th century, and has had several different owners over the course of its storied past. The castle was purchased in 1844 by the Prussian Count Albert de Pourtales from the French-speaking town of Neuchatel, Switzerland. His conversion of the castle into a family summer residence is what gave it its current modern-day appearance. Since 1954, there’s been a museum housed within the castle that displays the rich history of its previous residents. Visitors can also view impressive murals dating back from the early 15th century in the Castle Chapel. 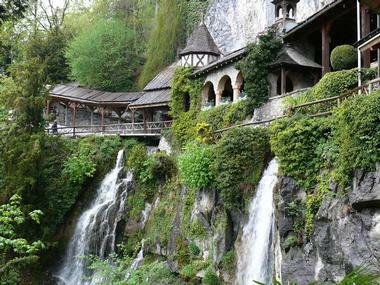 Ballenberg Swiss Open-Air Museum, established in 1968, is an open-air museum that is situated between two popular regions of Switzerland – Interlaken and Haslital Meiringen-Hasliberg. The wooded and hilly museum grounds outside of Brienz provide spectacular mountain scenery that is sure to impress first-time visitors. 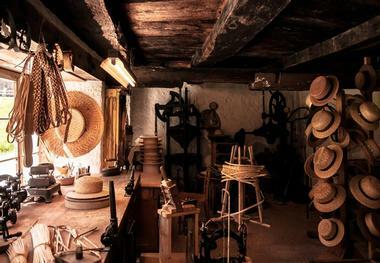 The museum preserves historical rural edifices that have been gathered from all over Switzerland. They’ve been carefully taken apart and reassembled piece by piece on the museum’s grounds for visitors to enjoy and scientists to study. Should patrons work up an appetite during their visit, the museum is equipped with two welcoming restaurants – Alter Baren and Degen. Situated 1,322 meters above sea level, Harder Klum is a mountain with a popular viewing platform in Interlaken, Switzerland. Visitors can take a quick, 10-minute cable car ride up to the mountain’s platform where unrivaled panoramic views await. At the top visitors will find the Two-lake Footbridge, an idyllic vantage platform that was inaugurated in October, 2011. 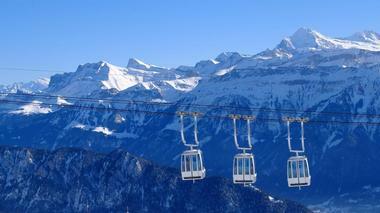 It offers unobstructed views of three surrounding mountains – Jungfrau, Monch, and Eiger. There are also two picturesque lakes in view – Lake Thun and Lake Brienz. The platform on Harder Klum offers the perfect opportunity to soak in some unforgettable scenery and shoot some truly memorable photographs. 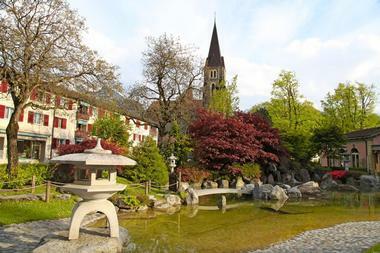 Situated along Hoheweg Street next to Hotel Interlaken, the Japanese Garden of Friendship is a picturesque garden located in Interlaken, Switzerland. A talented landscape gardener from the city of Otsu, Japan, designed and created the garden in 1995 to represent traditional Japanese gardens that provide a harmonious blend of flora and water. The ponds in the garden are filled with koi and carp fish and offer a tranquil place for visitors to relax. The garden delivers a true feel of an oasis with its unique structures, well-manicured grounds, and breathtaking mountain views. It also delivers another excellent opportunity for capturing images of Switzerland’s magnificent beauty. Jungfrau is a 4,158-meter mountain summit that is part of the Bernese Alps, located halfway between Fiesch and Interlaken, Switzerland. For over 100 years, Jungfrau railway has made its journey to the highest-altitude railway station in all of Europe. 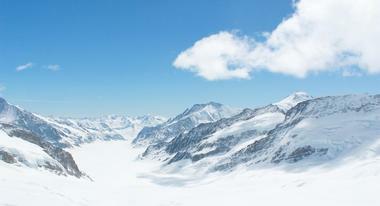 Recognized as the Swiss Alps Jungfrau-Aletsch, this region is listed as a UNESCO World Heritage site. Throughout the year, visitors can take the cog railway up through a steep tunnel from Kleine Scheidegg to the summit of Jungfrau. At the summit, visitors will be greeted by a high-Alpine wonderland made of rocks, ice, and snow. From the Plateau and Sphinx platforms, visitors will see the Aletsch glacier and an astonishing host of four-thousand-meter peaks. Originally the Mystery Park, Jungfrau Park is a unique amusement park that is located in Matten bei Interlaken, Switzerland. At Mystery World, visitors can immerse themselves in some of the world’s most incredible phenomena and greatest mysteries as they explore the six themed pavilions that breathe life into these riddles through multimedia presentations. The six shows include Vimana, Orient, Maya, Orient “Seraphaum”, Lazershow Megastones, and Nazca. Visitors will want to check out the 360 Degree Panorama Show Jungfrau-Aletsch – a spectacular panoramic show that displays views of the most beautiful peaks and valleys within the UNESCO World Heritage site, Swiss Alps Jungfrau-Aletsch. Mysty Country’s bouncy castle, ball pool, and trampoline are a guaranteed good time for the whole family. 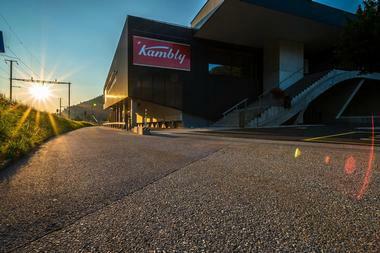 The Kambly Experience takes visitors on a fun and informative tour through the creative process of making Kambly’s sensational biscuits. The factory is located in the Swiss municipality of Trubschachen, approximately an hour’s drive north of the city of Interlaken. Visitors will discover the secrets and artistry that go into making some of the finest biscuits in the world. The tour includes a multimedia presentation about the company’s founder and history of the business, a quick stop at the confectionery to pick the brilliant minds of Les Maîtres Confiseurs, and a trip to the factory shop for a biscuit sampling with over 100 types to choose from. 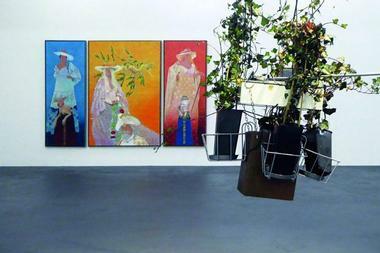 Kunsthaus Interlaken is a modern art gallery that features live music, rotating exhibits, and a plethora of workshops in Interlaken, Switzerland. As extensive as it is diverse, the cultural program at Kunsthaus Interlaken is filled with film, literature, dance, theatre, and art. Visitors are guaranteed to enjoy high-quality professional events and exhibitions at this cultural center. The gallery provides a place where visitors can immerse themselves in different arts and cultures from around the world. Some of the most impressive exhibits that have passed through this gallery include MANON – TRIP TO SIBERIA, in_visible limits, Innovations in the Art of Switzerland, Arnold Brugger retrospective, and EXPRESSIVE / EXCESSIVE. Lake Brienz is a shimmering lake situated north of the magnificent Alps mountain range in the Canton of Bern, Switzerland. The lake is nearly nine miles in length and approximately two miles wide with an average depth of about 568 feet. It got its name from the small, but charming village of Brienz that lies on the eastern end of the lake along its north shore. The western part of the lake comes to an end at the Bodeli, a sliver of land separating it from the neighboring Lake Thun. Visitors can enjoy boat tours around the picturesque lake and take in breathtaking views of the surrounding mountain scenery. Lake Thun is a beautiful Alpine lake that is located in Switzerland’s Bernese Oberland region. Embedded within a breathtaking backdrop of mountains, Lake Thun is conveniently situated between two popular destination towns, Interlaken and Thun. In fact, the lake gets its name from the latter of the two. All along the shores of the lake visitors will find historic castles and romantic villages. The lake is popular amongst windsurfers and sailors, as it receives a nice prevailing breeze. 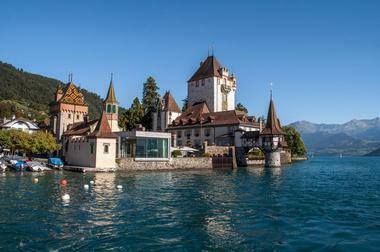 There’s also the picturesque town of Spiez, which offers a castle and Romanesque church to explore. Other lake activities include boating, kayaking, guided lake tours, swimming, and paddle boarding. 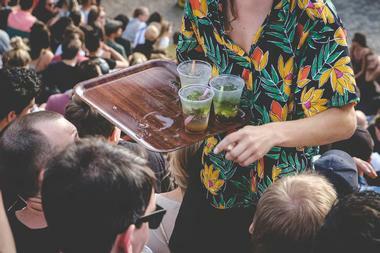 Every summer since 2003, the Lake Thun Festival has presented award-winning in-house productions and musicals. 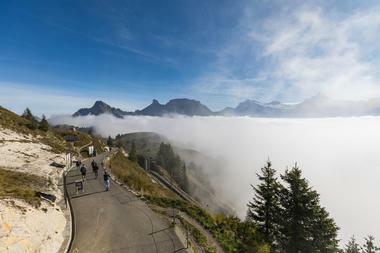 The festival is set against a magnificent UNESCO-protected mountain range that includes Jungfrau, Monch, and Eiger. The musical productions attract over 70,000 visitors from all around the world to Lake Thun each year. 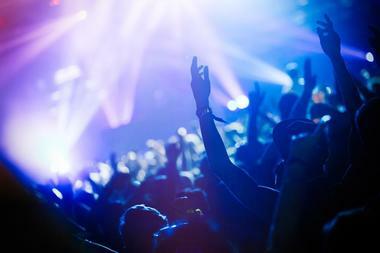 Today, the Lake Thun Festival is among Europe’s top 10 musical events that take place in an open-air environment. There’s something magical about having the opportunity to see quality musical performances in such a stunning setting. Some of the festival’s previous performances include Romeo & Juliet, ABBA, Der Besuch der alten Dame, and Titanic. 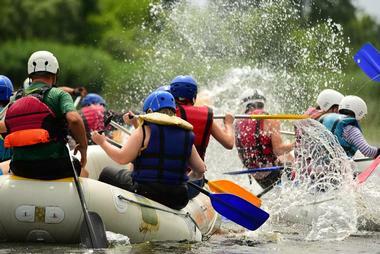 Alpin Raft is an outdoor adventure-sports touring agency that is based in Interlaken, Switzerland. During Interlaken’s summer season, the hot sun melts the mountain snow and fills the region’s gorges and rivers with rushing white water, providing the perfect opportunity for some exciting rafting. Glacier-fed lakes in the area offer an idyllic setting for kayaking, or a refreshing cool-down after hiking through the Swiss Alps. For those looking to take the adrenaline-pumping activities to the next level, Alpin offers paragliding, sky diving, and bungee-jumping from a cable car. During the winter visitors can give Europe’s longest sled run a go, or enjoy world-class skiing on several different picturesque mountains. 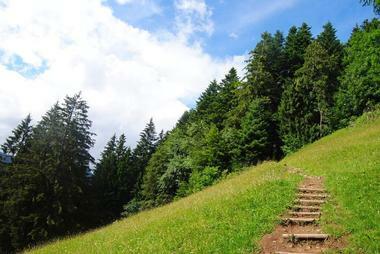 Situated in the Bernese Oberland, Niederhorn is a peak within the Emmental Alps near Beatenberg, Switzerland. It is the farthest peak to the west along the Guggis ridge. From Niederhorn’s summit, visitors will be able to see the entire Bernese Alps along with the shimmering Lake Thun. There’s a children’s playground and a restaurant located at the summit, which can be reached via aerial cable car. Visitors taking the guided observation tour will be rewarded with up-close encounters with local wild animals. The peak offers a number of picturesque hiking trails for visitors to explore, as well as Trotti-bike routes to take on the way down. Outdoor Interlaken is an adventure sports and outdoor recreation touring agency that is headquartered in Matten bei Interlaken, Switzerland. Whether visitors are looking to skydive above the picturesque Swiss Alps, ski fresh powder, slide down a steep canyon wall, or bungee jump from an aerial cable-car, Outdoor Interlaken can arrange it all. Tour guides aspire to help visitors explore and discover the incredible playground they call home, and to make the outdoors easily accessible for everyone. There are several other activities for visitors to enjoy, such as the Ropes Park Interlaken, whitewater rafting, hang-gliding, paragliding, and scenic lake tours. Schloss Interlaken is a former Augustinian monastery with a castle church and castle located in Interlaken, Switzerland. The complex of buildings is situated near Interlaken’s town center. The first time the monastery’s existence was mentioned in any official document was back in 1133. 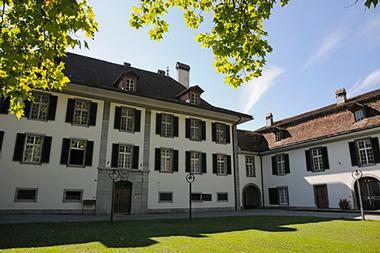 In 1525, the state of Bern assumed ownership of the entire complex and converted the monastery into a hospital. Visitors will want to check out the chapel dating back from 1452 within the old monastery courtyard, there’s a Gothic cloister gallery worth seeing as well. The complex is surrounded by lush-green, well-manicured grounds and breathtaking mountain views all around. Schynige Platte is a small, but beautiful mountain ridge and viewpoint within the Bernese Highlands, just a couple of miles southeast of Interlaken, Switzerland. The plateau can be reached by a historical cogwheel train that is an adventure in and of itself. The old coaches of the historic train and vintage rolling stock from the 19th century exude nostalgic flair from a time since passed. As the train climbs up the mountain, visitors will be treated to breathtaking views of the surrounding Jungfrau region. There a several trails around the plateau for visitors to hike and explore, they’ll be able to catch magnificent views of Lake Brienz and Lake Thun below. Schynige Platte Alpine Garden is a botanical Alpine garden that is situated approximately 2,000 meters above sea level, within the Bernese Oberland region of Switzerland. The garden is not far from the mountain summit of Schynige Platte. This unique botanical garden displays over 700 different species of plants that are native to the Swiss Alps region in their natural habitats. The garden is also a site of land conservation and scientific research, giving its visitors a glimpse into the secrets, wealth, and beauty of Alpine flora. Visitors can enjoy guided tours of the garden while taking in magnificent views of the Jungfrau, Monch, and Eiger mountains in the distance. Seilpark Interlaken/Adventure Park Interlaken is an exciting forest adventure filled with Tarzan-style swings, wooden bridges, and zip lines. The Ropes Park is located just a few minutes’ drive southwest of Interlaken’s town center. It contains nine courses with varying heights and difficulty that provide a fun-filled day for both beginners and experienced adrenaline seekers. 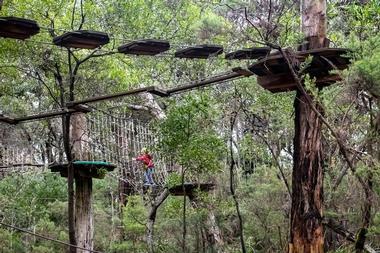 The park contains over 120 different challenges for visitors to try, from ground level all the way up to 65 feet high. The Butterfly Walk is excellent for children and parents, and a great way to experience some tree challenges without the need for a harness. St. Beatus Caves is a large cave system that features well-lit pathways through chambers and tunnels in Beatenberg, Switzerland. The cave system is situated near Lake Thun and has over 14 kilometers of tunnels that have been explored. Upon arrival, visitors will enjoy a short walk through the forest and over some waterfalls that carve through rock before cascading into the blue lake below. Visitors will see a time capsule of land that includes enormous halls, little caves, tunnels, stalagmites, and stalactites that have been continuously formed by nature for millions of years. Visitors can also check out the St. Beatus Caves Museum, where they can learn all about the caves with audio-guided tours through 11 themed sections. Swiss Paragliding & Adventure is a paragliding, hang-gliding, mobility, and outdoor adventure touring agency located in Interlaken, Switzerland. They are committed to providing visitors with the opportunity to experience what pure freedom feels like by soaring through the sky like a bird. 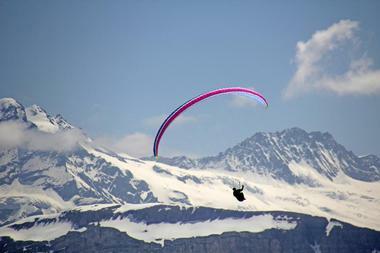 During paragliding and hang-gliding excursions, visitors will enjoy incredible views of the Swiss Alps and glacier-fed Lakes of Brienz and Thun below. The company can also arrange adventures that include jet boating, whitewater rafting, kayaking, bungee jumping, ice climbing, glacier hiking, and more. Swiss Paragliding & Adventure practices the highest levels of professionalism and safety, ensuring everyone has a fun and enjoyable experience. Touch the Mountains Festival is a popular New Year’s event that takes place annually in Interlaken, Switzerland. 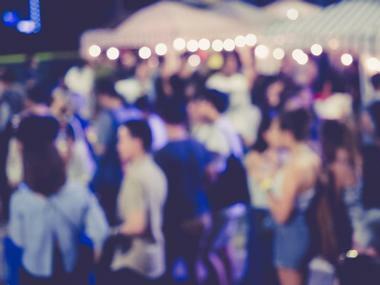 Interlaken’s promenade comes to life with open-air concerts from top artists, spectacular fireworks displays, and some of the best after-parties in Europe. During the festival the streets of Interlaken are lined with food and merchandise stalls as far as the eye can see. Hoheweg, Interlaken’s main avenue, is always equipped with trendy bars and sensational restaurants for visitors to enjoy. Top of Europe Ice Magic provides festivalgoers with the unique opportunity of ice skating for a fun after party activity. The Touch the Mountains Festival is a complimentary, family-friendly event. The Tourist Museum of the Jungfrau Region is a museum dedicated to the history of tourism located in Interlaken, Switzerland. 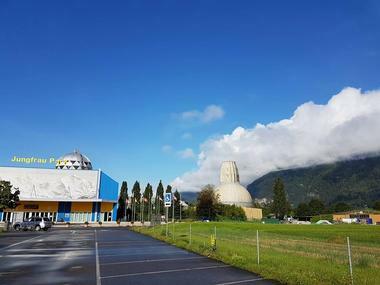 Opened in 1980, this museum of tourism is the only one of its kind dedicated exclusively and comprehensively to the unique history of Alpine tourism. History enthusiasts and travel addicts will appreciate this one-of-a-kind opportunity to explore 250 years of Alpine tourism. The museum occupies three floors and features exhibits that display fashion, crafts, objects, and transportation used from particular time periods. A fun and lesser-known fact about the structure is that it was once a traditional 17th-century residence before being renovated into the popular museum it is today. Weissenau Nature Reserve is a nature preserve that provides habitats for several species of fauna and flora in Thun, Switzerland. 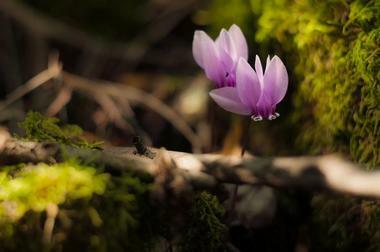 The reserve is situated along Lake Thun near the town of Interlaken. The lake’s water level has a direct impact on many different species of flora around the lake, and has to constantly be monitored in order to maximize conservation efforts. The expansive lakeshore provides an idyllic breeding and feeding location for a number of different species of bird. 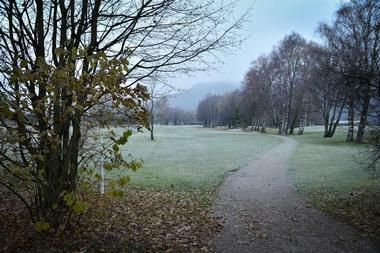 The reserve is also a very important hibernation site and transit area for multiple bird species. Visitors will enjoy views of wild animals, native plants, and a sparkling blue lake against a beautiful mountainous backdrop. The William Tell Open-Air Theatre is a live dramatization of what life was like for folk hero Wilhelm Tell. This production has been performed since 1912 in the wonderfully natural setting of Rugenwald zu Matten. Over 170 actors, from the extras to the principal characters, come together to put on a truly authentic and exciting performance time after time. No detail goes overlooked when it comes to this theatre’s production, with horses, goats, and even cows making appearances on stage. Visitors will appreciate the covered stand seating that surrounds the stage, allowing performances to continue no matter the weather.